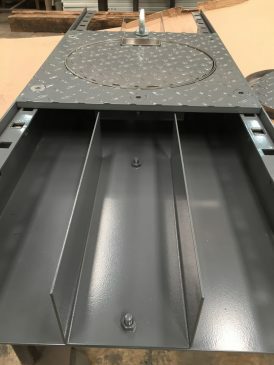 USP: Interchangable Lids and RAF grey powder coating. The RAF Museum in Hendon, London, has benefitted from 300 metres of our special trunking. We worked with electrical contractors Bower Fuller Ltd to provide design a bespoke trunking solution to suit their requirements. The trunking was manufactured from 3mm thick pre-galvanised steel, and some mild steel chequer plate trunking. Thanks to our bespoke service, we were also able to meet exact specification for the project. The client specified the trunking to be 360mm wide x 100mm deep, with a detachable divider in case it was required. For the top of the trunking, we used 10mm chequer plate mild steel. We were able to take the extra step of adding an epoxy powder coating in RAF grey, allowing the trunking to perfectly blend in with the look of the museum. For total flexibility, we made sure that the lids to the trunking we’re all completely interchangeable. 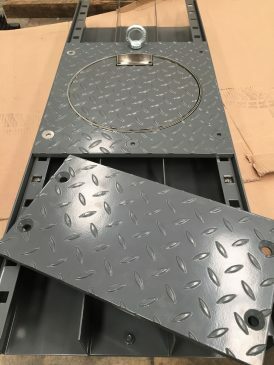 We also manufactured 26 lids to 360mm X 400mm with a round cut out for the socket boxes. The trunking will give the client total flexibility for the socket outlets in any part of the trunking run. 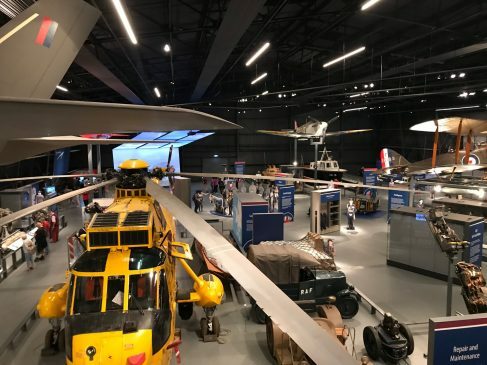 The project comes as part of a larger renovation project for the RAF Museum, that is taking place ahead of its centenary celebrations next year. The overhaul has been designed to replicate the original shape of the airfield. The intention behind this is that visitors will be able to get a sense of the historic events that took place there. A Spitfire is even being renovated and placed to give the illusion of it taking off across Graham Park. The multi-million pound renovation is set to be completed in the Spring of 2018.